There is NO cost to you. I will find the best hotel rates for your group available in the market based on your criteria. The hotel rates that I negotiate for are usually lower that any published rate available to the public. As a Global Account Manager for Hotels for Hope, I get to help Corporations, Associations and Non-Profit Organizations, and individual groups make their meetings/events socially responsible. I assist my clients with complimentary site/venue selection for their meetings, groups, and events, as well as contract negotiations by cost savings and risk mitigation. 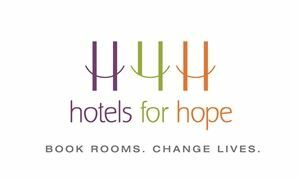 Each contracted hotel is asked to include a $1 charitable contribution, which Hotels for Hope then matches, dollar for dollar. In short, each room night booked by our clients, generates $2 for charity. Booking Rooms - Changing Lives......One Room at a Time. Contact me for more information or to get started!